At the height of World War II, while the Germans were setting their sights on Moscow, Free French, British and Australian forces launched an assault on the Vichy French army in the Middle East on 8th June 1941. This joint initiative of Churchill and de Gaulle - codename "Operation Exporter" - led to one of the most shocking conflicts of World War II. Was this an attempt by the Allied forces to cause mass desertions from the Vichy forces to the Free French? Or were Churchill and de Gaulle motivated to reassert their respective control of the Middle East? The fight caused the loss of 10,000 lives, numerous ships and an estimated 200 aircraft. The Australian forces, under the command of Lieutenant General John Lavarack, carried out the bulk of the fighting and suffered the most casualties. The Vichy Army was overcome, but even during the bitter campaign, the Free French airmen refused to fire on their Vichy compatriots. 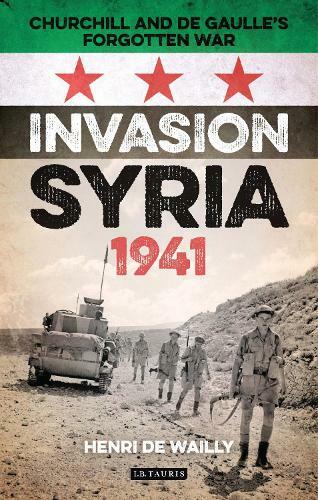 Henri de Wailly here presents the story of this extraordinary campaign by the British, Australian and Free French forces against Vichy French forces in Syria and Lebanon, the true extent of which has largely been forgotten.